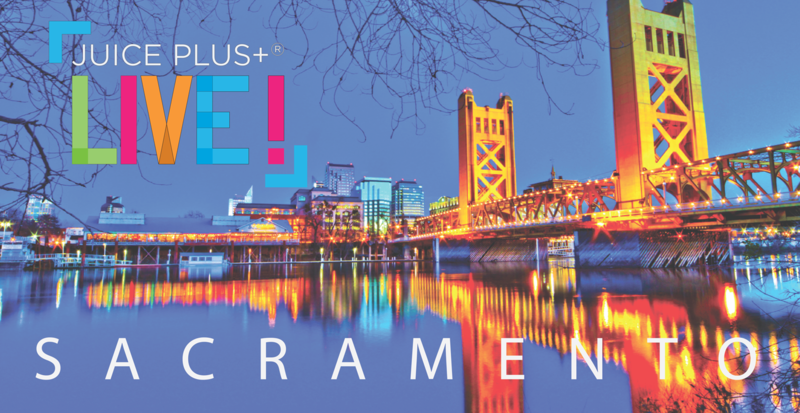 Well, we can think of lots great reasons for you to pack your bags and meet us in Sacramento! The Juice Plus+ LIVE! experience stays with you long after it ends. It is an event that will supercharge your belief in our on going mission to inspire healthy living around the world. During the course of three days you'll gain a wealthof insight that will help you achieve your goals within the Juice Plus+ Virtual Franchise.